Servicing Adelaide, with experienced, well trained staff to assist you to find the best product for your window furnishing/shading needs. We are a well established LUXAFLEX® authorised dealer located in North Brighton, who can provide you with great options for your internal, external windows and alfresco areas. We pride ourselves on professional, friendly customer service. We can arrange a free no obligation in home measure and quote, or pop in to North Brighton for a coffee and experience the range for yourself. Stan Bond SA is a proudly family owned, South Australian company that has manufactured quality home improvement products for 45 years. We are a one-stop shop for interior and exterior blinds, security doors and screens, plantation shutters, window film and roller shutters. Our team is dedicated to finding a solution to your shading, security, privacy, light control and decorating needs. We value the opportunity to share our many years of experience with each of our customers as we endeavor to help you make your home a place where you can relax and live comfortably. Our manufacturing facility and showroom is in Newton and we proudly employ South Australians. 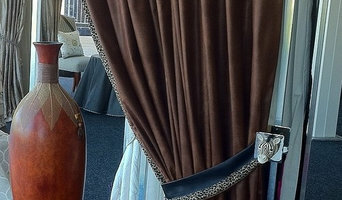 Custom manufacture of modern cutting edge and traditional formal window treatments, bedding, table ware and cushions. Small exclusive commercial situations and discerning home owners working through architects and interior designers. Your ideas brought to life. Co-Create Solutions is a south Australian company that is focused on providing home owners with expert advise on all indoor and out door shading options. We are a long standing family owned and operated business specializing in the supply, sale and installation of high quality Roller Shutters, security doors and screens and Indoor and Outdoor blinds. With over 34 years experience in the industry, we supply and install residential and commercial shutters where most others wont or cant. This is due to our vast experience and knowledge with our products and knowing the right way to get a job done with quality workmanship.and our ability to look outside the box when required. We can also supply any of our products and arrange freight services all around Australia. When filling a supply only order, we will work with you and advise on how to get the right measurements so you can either install yourself, or you may prefer to find someone in your area to do the install for you. Factory direct pricing everyday and we can arrange manufacture pricing for installers or sub contractors with an ABN number who may be quoting on, selling and installing their own work. Country Blinds is one of South Australia's leading soft furnishing manufacturer/retailers. At Country Blinds we have the ability to design, manufacture and install bespoke projects. We have are able to cater for from small one off residential jobs through to large commercial works. We employ over 50 local South Australians which we are very proud of. Need CURTAIN CLEANING ADELAIDE? Choose the most reliable and honest company - FRESH CLEANING SERVICES. We are specialised in Curtain Cleaning Adelaide, Curtain and Blind Cleaning, Same Day Curtain Steam Cleaning, Curtain Stain Removal Services, Onsite Curtain Cleaning and Stain Removal. We clean and install high-quality blinds in your windows. We have two decades of experience to deliver our curtain and blinds with an active process. We are expert in cleaning work, quality, and presentation. We also offer the same day of services. So, call us and get the best services according to your convenience. Get FREE curtain cleaning quote over the phone +61 414 530 372. Now Blinds and Curtains supply beautiful soft furnishings, blinds and shutters with a design edge. Jason Iannucci and the team personally oversee all aspects of the the work they deliver with careful attention to the details that matter. Now makes leading brands like Luxaflex, Silent Gliss, Verosol, Somfy, Zepel, Warwick, Nettex, Wilson & Charles Parsons accessible throughout Adelaide and beyond. Call into our showroom for professional advice, service and products for home, apartment & corporate spaces. We are Australian owned and operated business in Southern Australia. We offer our services in Pooraka and surrounding areas. We are dedicated and friendly service provider. Our goal is to provide complete customer satisfaction. We are dedicated towards our work and provide friendly and professional service. Parafield Soft furnishings is a family owned business with over twenty years experience in the curtain and blind industry run by sisters Sam and Nicki. The sisters are very well known for there product knowledge with a friendly and professional approach to helping there customers reach their interior design goals. Parafield Soft furnishings has its own workroom where their qualified seamstresses take pride in the quality of curtains and drapes produced. We also manufacture made to measure tracking and vertical blinds on site. We use South Australian made roller blinds, venetians, wooden blinds, screen blinds to maintain the highest quality product with quick delivery times and fantastic after sales service. We are happy to help you with just one room or your whole house. It can be an existing home or a new build. We are happy to work from your plans where we will check measure as your build progresses to ensure your curtains and blinds are installed for you to move in. No job is too big or too small. Nicki is very experienced in interior design knowledge and loves to work with her clients to bring their ideas to fruition. Creating that fantastic look the clients are seeking. Sam manages the projects and co ordinates between the clients , workroom and installers to bring everything together with out stress. The business has been built on customer referrals and recommendations. Which is a great source of pride for the girls. We would love to help you with all your interior curtain and blind requirements. Come in to our showroom or give us a call and we will come to you. 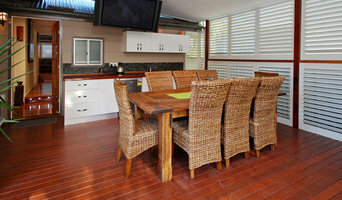 Colourshade Blinds is a South Australian family owned business with more than 25 years experience. Taking pride in the quality of products, workmanship and customer satisfaction, Colourshade Blinds offer a two year warranty on all products and installations. Each Colourshade product is designed and manufactured to order, according to your personal specifications. For new homes or renovations, each blind is a work of art that will compliment your style. An idea 3 years ago to solve the problem of removing ugly flyscreens to clean windows has led to ScreenAway creating revolutionary new products in window dressing accessories. 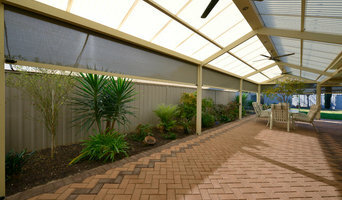 Its' unique, retractable fly screen and blind solutions designed especially for windows are far more aesthetically appealing than what has been on offer to date. The all new ScreenAway Retractable Screen and Blind System can be fitted to both new and existing dwellings as well as commercial buildings alike. The unique design and engineering is aimed at providing greater functionality and user-friendliness and is suitable for all types of windows that require fly screens and/or blinds. The Fly Screen is synonymous with Australian homes, however it has had very little engineering advancement for years. The ScreenAway Retractable Fly Screen solution is attractive, innovative, practical (makes windows easy to clean), extremely user friendly and will solve current Fly Screen problems at affordable prices. We simply remove your tired old flyscreen and attach the ScreenAway Retractable model. You never have to unnecessarily look through a flyscreen ever again, so easy now to clean your windows. The ScreenAway Retractable Blind System provides a total solution, from opaque shading to 100% Block Out. It is extremely safe with no exposed cords, external pulleys or rollers and remains aesthetically appealing at a far more affordable rate for Australian families. The blind fabric is sealed within the frame on all sides preventing light, heating and cooling from getting around the edges. Installed within the window frame reveal, it is a made-to-measure, self-contained, fully operational unit that is readily detachable for safety and engineered for easy removal or maintenance. 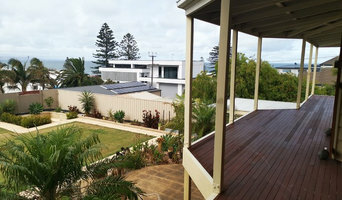 The ScreenAway Retractable Flyscreen and Blind System is also available for new Home Purchasers through Rossdale Homes, Fairmont Homes, D&C Homes, Kookaburra Home Solutions, Integrity New Homes, Clairville Homes, Homestead Homes, Lares Homes and Coast to Coast Homes. We specialize in the design & manufacturing of all internal window furnishings and External Awnings. Our Extensive showroom is located in our manufacturing facilities enabling us to tailor your window treatments to your Home. Today's Blinds & Decor are a family owned and operated South Australian company, selling a comprehensive range of Indoor Blinds & Outdoor blinds, Roller shutters and Plantation shutters to compliment any home or commercial development. Let us provide you with a competitive, free measure no Obligation quote and see what we can do for you! Window treatment professionals, designers, vendors and manufacturers often specialise in different types of window coverings. Some handle shutters and/or blinds, while others work primarily with fabric treatments such as swags and valances. Still others focus on high-tech automated shades or louvers. But regardless, your Prospect, South Australia pro can advise you on the pros and cons of the material and style that interest you, as well as help you determine whether prefabricated window coverings are the best choice for your space, or whether custom versions would be ideal. If you are looking for a more tailored result - designer curtains, custom shutters or other bespoke curtain styles - A window treatment professional might work closely with a Prospect, South Australia interior designer or house decorator to widen your options. Here are some related professionals and vendors to complement the work of shutters, blinds & curtains: Windows, Interior Designers & Decorators. Find a window covering professional on Houzz. Narrow your search in the Professionals section of the website to Prospect, South Australia window coverings. You can also look through photos to find examples of South Australia window treatments that you like, then contact the professional who worked on them.